This article is a continuation of the discussion that began with Step 1: How to Install Vinyl and Aluminum Siding. Once you’ve gathered your tools and materials, you’re ready to prepare the walls for vinyl or aluminum siding and trim. As shown in the diagram at right, vinyl or aluminum siding are part of a system designed to keep the weather out. Because these materials—especially vinyl—are very flexible, they need a sturdy, flat backing. Otherwise, the resulting walls will look bumpy or wavy. As discussed in the article How to Install Vinyl and Aluminum Siding, sheathing or backerboard normally provide the necessary rigidity and surface. In some cases, notably when the “board” width of the new siding matches the home’s existing wood lap siding, vinyl or aluminum can be installed directly over the existing material. 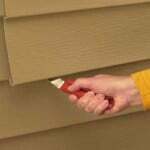 Below, you’ll see how to prepare existing siding. Then, we’ll discuss sheathing and other methods. Before you begin, clear the area around the house and tie back any shrubbery to allow for plenty of working room. Provide a sound, flat surface for installation of vinyl or aluminum siding. 1) Nail down loose boards, and replace any rotten ones. 2) Scrape off loose caulk and re-caulk around windows, doors, and other areas to protect them from moisture penetration. 3) Remove all protrusions, such as gutters, downspouts, and light fixtures. 4) Seal all cracks to make the house airtight. 5) Check all walls for evenness. 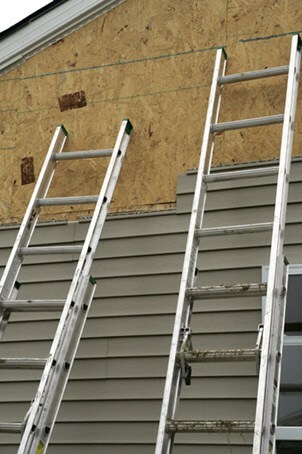 OSB sheathing provides a flat, solid base for vinyl siding. Applying weather-resistant sheathing over old siding is the fastest, easiest way to provide a flat, nailable surface for vinyl or aluminum siding installation. The tricky part can be dealing with the added thickness where siding meets windows and doors. 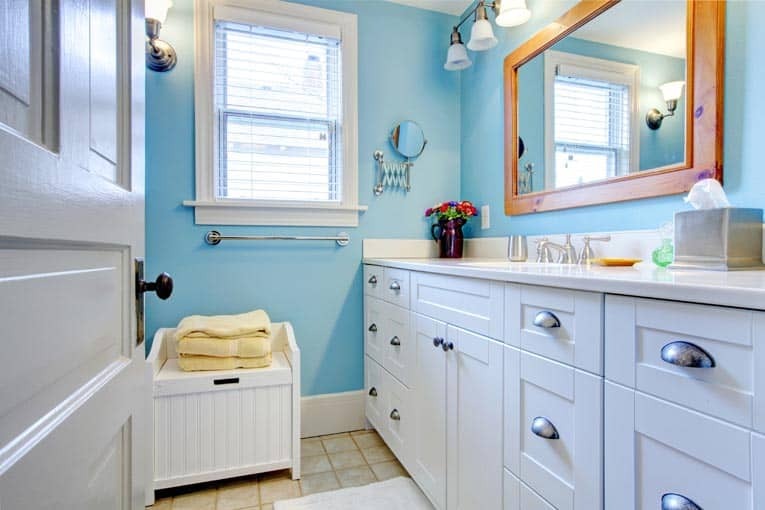 Be sure door and window frames can be built out relatively easily before taking this approach. Otherwise, you’re better off stripping off the old siding and starting fresh with sheathing. To obtain the best finished appearance for solid vinyl siding, use quality sheathing with no buckling or warping. The most p0pular wall sheathing material is oriented strand board (OSB)—it’s both serviceable and relatively inexpensive. Properly conditioned and fastened, exterior quality sheathing will eliminate the possibility of swelling and buckling that can occur with unstable wood. If you’re dealing with new construction, the wall framing studs should be plumb and positioned uniformly to provide a flat surface for the sheathing. Be sure your builder uses quality, kiln-dried studs. Over existing siding, 1-by-2 furring provides a flat base. 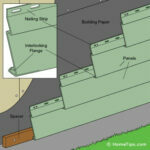 This vertical application of furring is for horizontal siding. Another way to provide a flat, nailable base for siding is to install spaced 1-by-2 strips (called “furring”) across the walls and around their perimeters. This works well on uneven or masonry surfaces. Slip small pieces of shingles (called “shims”) behind the furring strips to even out the high and low spots so the overall surface will be completely flat. For horizontal siding, you apply the furring strips vertically. For vertical siding, you apply them horizontally. The strips also must be placed alongside all door and window frames and at building corners. Keep the overall profile as low as possible because the alignment of the siding at doors and windows may be difficult. When you use furring, window and door frames generally have to be extended.